Brynseng is a new primary school in Oslo (59.91°N, 10.81°E). The school is located at a small plateau next to the Brynseng subway station and is six storeys high. This gives a large south-facing facade suitable for solar cells. 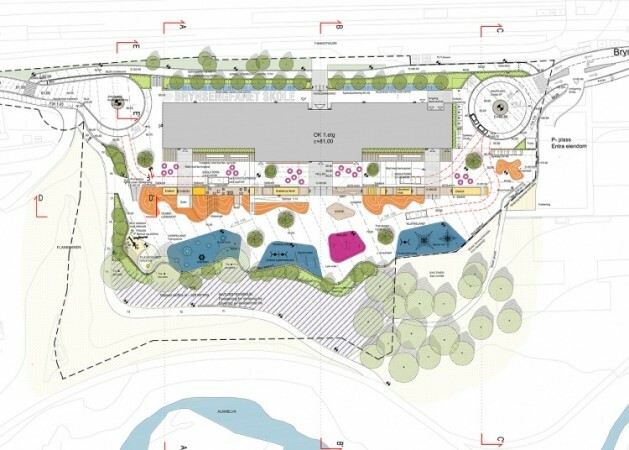 An overview of the building site is shown below. The BIPV facade is the most innovative element of the new school building. Architect HBRI provided design quidelines for the appearance of the solar modules, and black frameless modules were selected. In order to ensure an even black surface, also the solar cell metallic busbars and the metal hooks for fastening the panels were painted black. The architects collaborated with engineers to solve some aspects related to the adaptation of solar cells in the facade construction. The facade is built as ventilated cladding. Air circulation behind the PV modules helps to reduce their operational temperature and hence the efficiency drop caused by heating. The PV facade is not completely waterproof, and the insulation behind the solar modules is desinged to handle moisture. The development of technical specifications and evaluation of proposed solutions was performed by PV experts at Multiconsult. 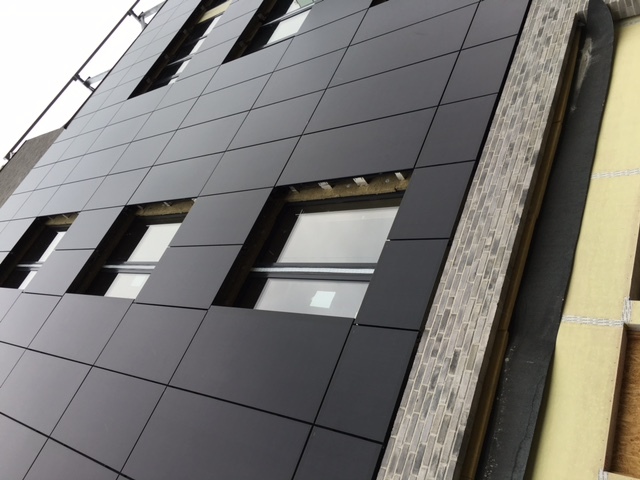 The BIPV modules were supplied by Issol and installed by the facade-company Staticus. Staticus is responsible for the PV system, whereas the electrical connections were performed by electricians as sub-contractors of the main contractor NCC. During the project design phase, both the rooftop area and the facades were evaluated for installation of solar cells. As the roof area was needed for recreational purposes, the decision was made to use PV as facade-integrated modules on the south side, replacing other facade material. The other facades consist of brick material. Another reason for choosing a facade solution was to ensure a higher share of self-consumption from the produced solar power. As the school is closed during summer, a large amount of energy could not have been utilized with a traditional roof-mounted system. With the facade-mounted installation, the relative share of energy production at low solar angles is increased, giving a better match with the time of year when the school is occupied. BIPV systems are new in Norway, and few reference systems exist. One of the lessons learned in the Brynseng project was that the procurement process is challenging, since there are currently no total suppliers of a finished facade with integrated solar cells. Even if looking towards the European market, very few suppliers were able to present a solid base of reference projects. 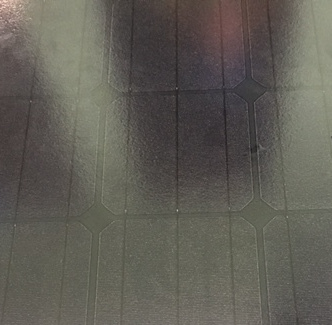 The Brynseng project therefore had to put substantial own resources into the specification of the BIPV system requirements, to ensure the desired quality and performance. For future projects, it is important that BIPV specifications are clarified early in the process. The system is instrumented for detailed monitoring of both electricity production and energy consumption. PV production from each string is analyzed based on available data from the SMA inverters. Two temperature sensors will be installed at the back of the panels, one at the top and one at the bottom of the eastern part of the installation. Wind speed and ambient temperature is also measured. The building is instrumented so that the energy consumption can be measured and logged in great detail, following the energy consumption posts in the Norwegian standard NS3031. This means that one can separate between energy consumption for space heating, ventilation heating, hot water, lights, fans and pumps, and user equipment in the building. The Brynseng BIPV system consists of 1046 m2 facade-integrated mono-crystalline solar panels from Issol. The panels are frameless laminated glass-glass modules with 4 mm safety glass both at the front and back surfaces. 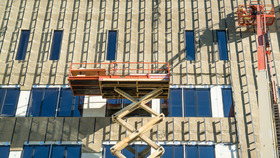 The panels replace other exterior cladding on the building. The total installed capacity is 166 kWp. The system was installed in 2016, and will be operational in early 2017. 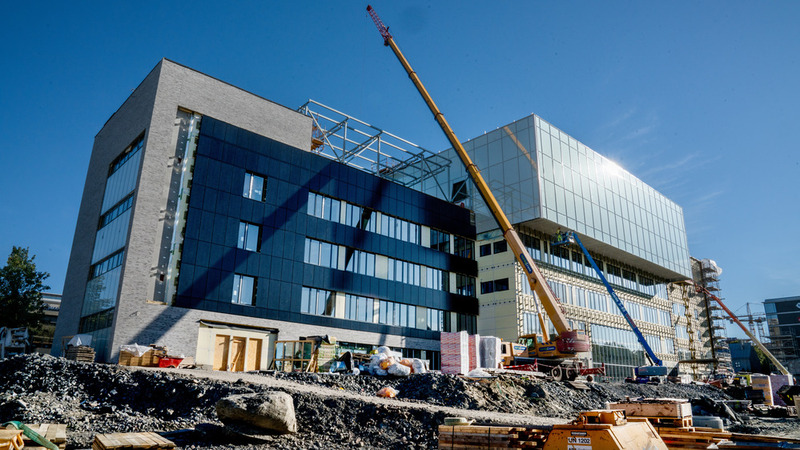 The Brynseng BIPV system is currently Norway's largest facade-integrated system in terms of installed peak power and the expected annual energy production. 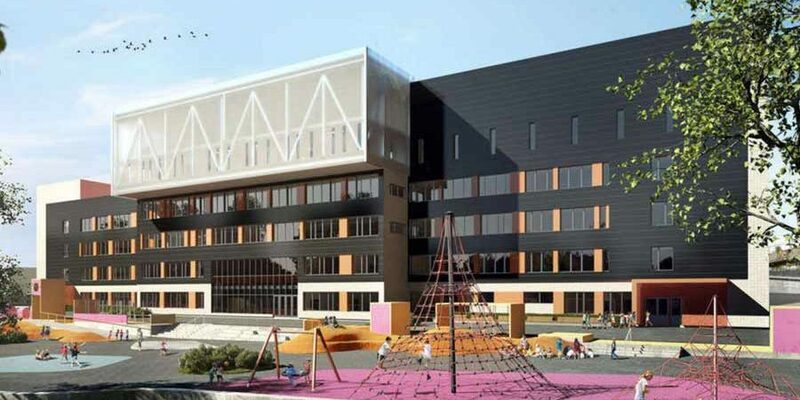 The BIPV system is contributing to the goal of Brynseng school to be a nearly-zero energy building (nZEB). Production data is not yet available, but the predicted annual yield is 105 000 kWh, giving an estimated specific yield of 633 kWh/kWp. The Brynseng project has received support from Enova. Brynseng is also a pilot project in the FutureBuilt program with the goal of 50 % reduction of greenhouse gas emissions related to energy, transport and use of materials, compared to a traditional construction with current TEK10 requirements.